Biobarrier products has a comprehensive range of landsaping solutions for commercial or DIY home projects. 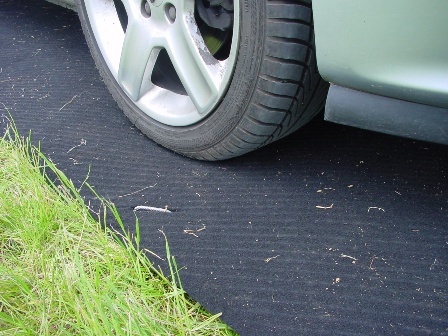 These include root and weed protection, porous driveable surfaces, and grass parking. 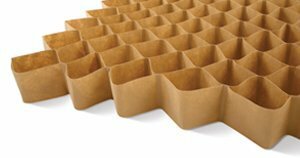 Biobarrier products are manufactured to the highest quality, reducing maintenance requirements and ensuring long-term success and performance. 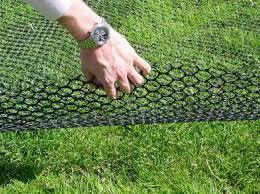 We at Hoglund Landscape & Biobarriers will support you with innovative and successful solution proposals. 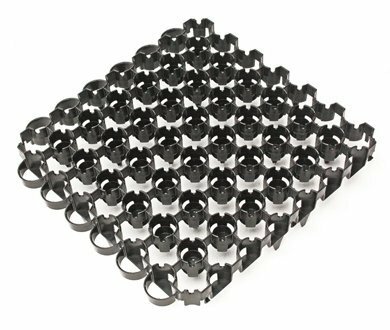 This product enables stable gravel or grass parking solutions. 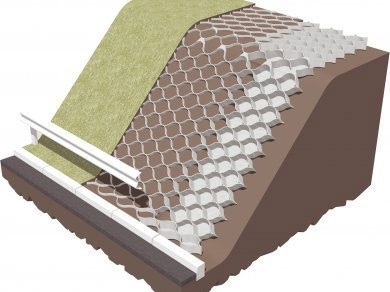 It is a porous system that has the strength of concrete or asphalt applications. 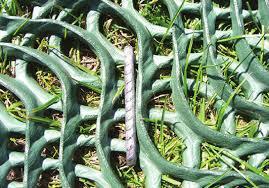 Great for Access Roads, Fire Access lanes, Driveways, Bike paths and walkways. 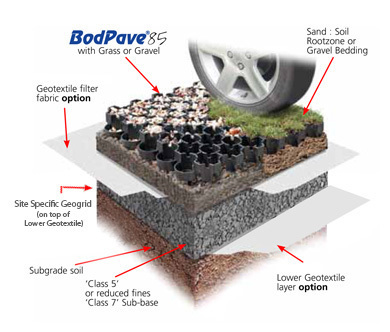 This product offers optimal performance and cost solutions for grassed surfaces. 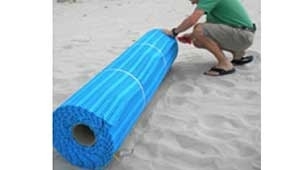 It can be utilized temporarily for events or implemented to remain as part of the structure to a grass field. 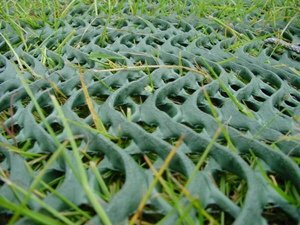 This reinforcement mesh maintains the aesthetic and benefits of grass with the reinforcement required for vehicluar or pedestrian traffic. Our Mulch is the best! What is the worst fear of mulch in the valley? The wind and it blowing around. Our Double Shredded Cedar Mulch is the exception to the standard mulch! It entwines with itself to create an interlocked web that does not easily get blown all over. Mulch is fantastic for moisture retention and has an all around better appearance in a landscape than rock does. Anchor is the leader in paver and wall solutions. Natural, timeless, and elegant. Anchor products will enhance your project like no other. The product line is extensive and will provide options for any choice of landscape/architecture styles.